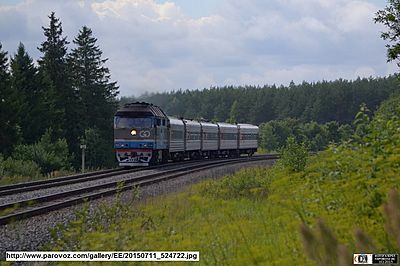 The train 34 operates on Tallinn - St. Petersburg - Moscow route since July 10th, 2015. It is managed by Russian Railways and it runs every day. The train covers 964 km in 15 hours most of which are at night. The following classes are available on the train: 2nd class, 3rd class and Seats. There is no restaurant on board.